Eventex is a leading event planning company specializing in corporate functions, private parties and weddings. Their highly experienced staff can create everything from large conferences to sales meetings, weddings, anniversary celebrations, baby showers, reunions and more. They are masters of handling every facet of events to make them memorable and ensure that everything runs smoothly. Eventex’s services range from the coordination of all event details from A to Z to a la carte services depending on their clients’ needs. They can handle event planning, venue selection, accommodations, travel, entertainment booking, catering and on-site coordination and management. Eventex wanted to fine tune their brand as a contemporary, professional company with an element of playfulness. 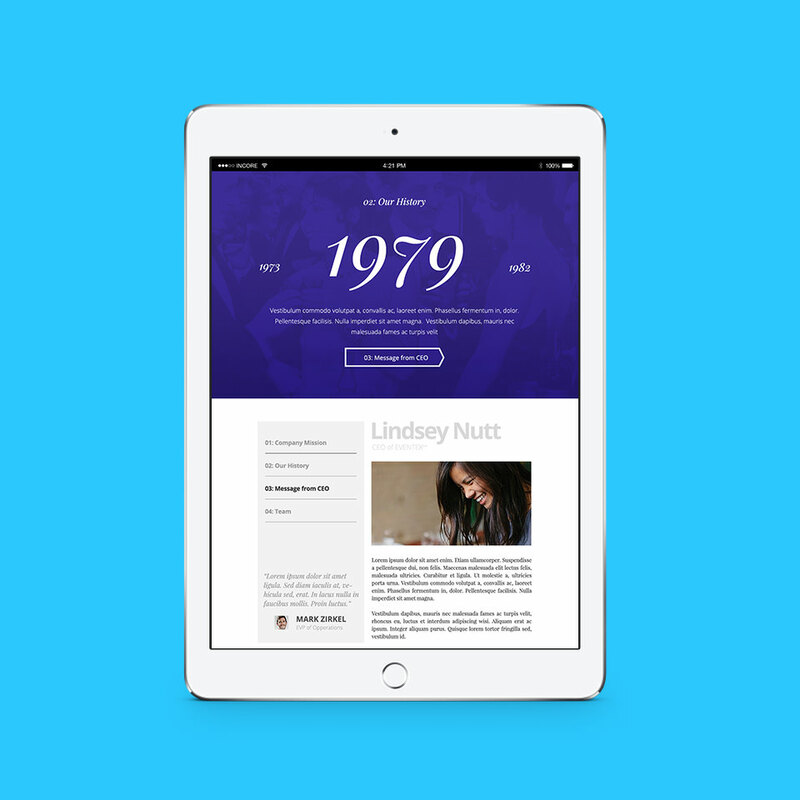 Their goal was to make certain their audience understood the exceptional user experience they provide for their clients. On the technical side, Eventex’s objective was to upgrade their website to make it perfectly consistent with their message and brand. Another key was to give their website visitors the best possible experience regardless of whether they were using a laptop or mobile device. They were well aware of Google’s updates which now assign more weight to how well websites are optimized for mobile devices. Having a website in place is the first step; the next step is tracking how well it is performing in terms of helping your business reach its objectives. Therefore, we wanted to ensure that Eventex had the proper systems in place to measure the website’s performance. In collaboration with the Eventex team we reorganized the information architecture of the website to present their message in a manner easily understood by their audience. Navigating the website is now simple and intuitive for their visitors. This makes for a smooth user experience encouraging them to spend more time on the website. 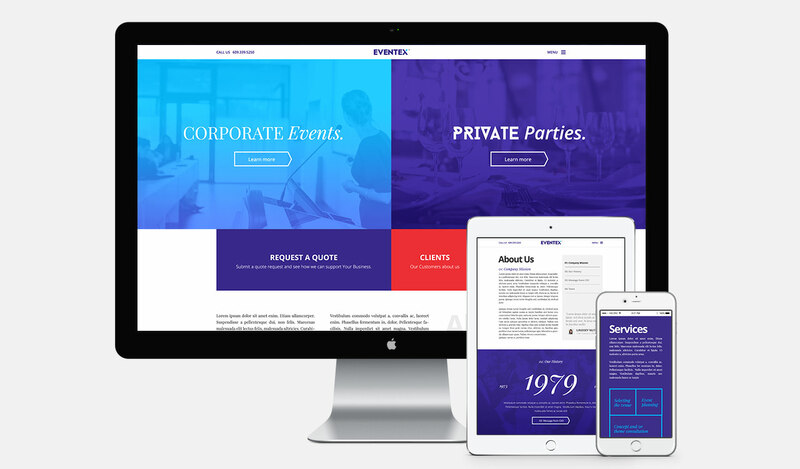 We designed a website with vibrant, playful colors in order to communicate Eventex's brand image. We used a combination of sharp edges and smooth animations plus an unusual layout to create an element of fun for their brand. In addition, we used a mix of fonts that are professional, elegant and unique to strengthen the message that “Eventex is unique, your events will be as well”. 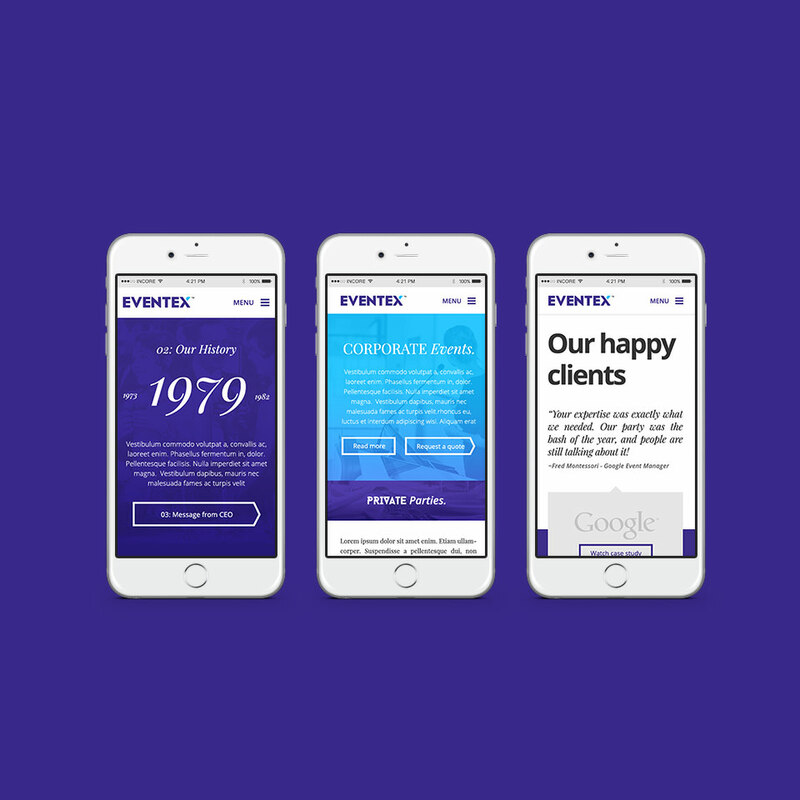 Google has updated its algorithms assigning much more importance to mobile friendly website design, so we used Responsive Web Design for the Eventex website. This ensures an optimal user experience for those visiting the website from mobile devices such as smartphones and tablets. In order to measure the effectiveness of the website, we installed analytics software. This will enable Eventex to track sources of traffic to the website and visitor behavior on the website. This data in turn will help Eventex to fine tune their website content, test different approaches to marketing and help determine which pages are performing the best. 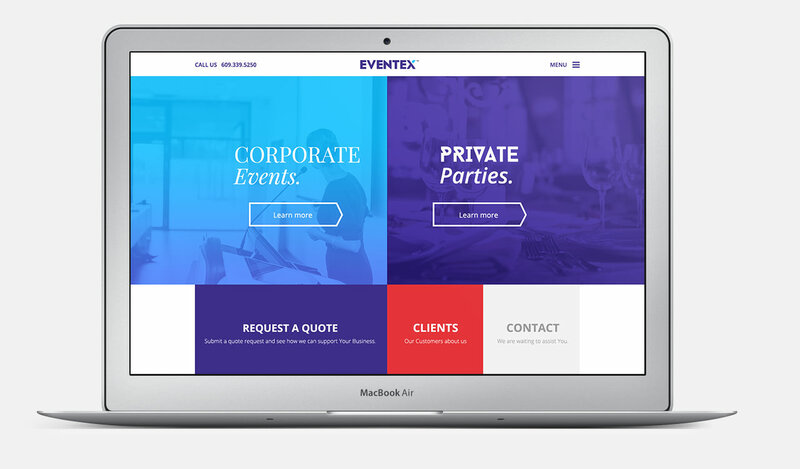 The Eventex website now represents its brand as a company that can professionally manage corporate events, private parties and weddings to create a fun and memorable experience for all involved. By working with Eventex, event hosts are able to enjoy all of the fun and none of the stress associated with executing a successful event. Eventex mastered the art of an unique event. We made sure that their digital presence represents their brand and capabilities.